one happy little crafter: B is for Crafty Friends! hope you're having a great weekend! This morning got off to a wet start, but looks like we may see some sunshine this afternoon. Our DT have made some stunning cards for this challenge, we would love you to join in with us! So gorgeous Lisa, adorable image and I love the colours. Thank you, also, for taking part in the Passion for Promarkers Challenge. 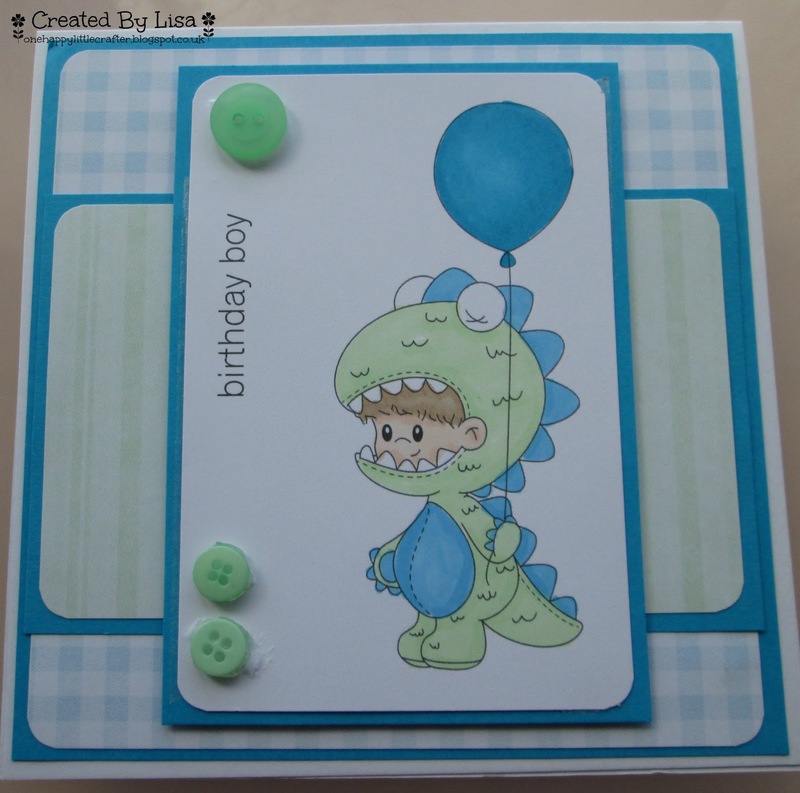 Gorgeous boys card Lisa, so cute! Aw! so cute, love the colours. A lovely sweet card, such a cute image and I love the colour combo too! This is an adorable card, such a sweet image and lovely pastel colours.